Have you guys caught my latest YouTube video? It features my favorite fall 2017 trends and how to style them. One of those trends happens to be animal prints… more specifically, leopard prints. They are everywhere! 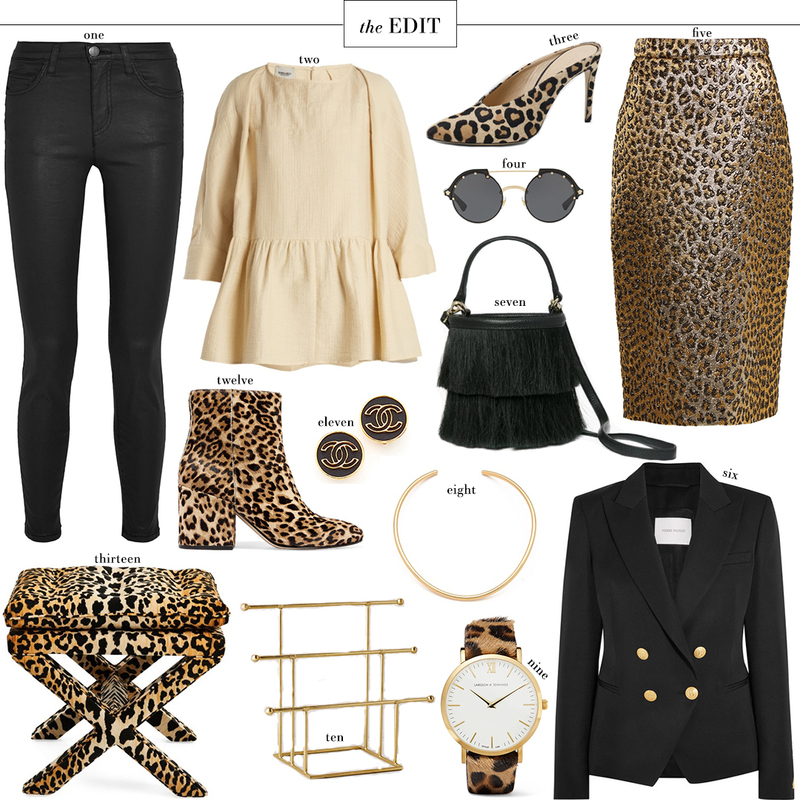 From shoes to handbags, to faux fur coats and velvet tees, the leopard print is better than ever. I’ve got so many pieces on my fall/winter wish list! Luckily I have a couple pieces I’ve collected over the years to tide me over, but I am hoping to add a pair of leopard print shoes to my wardrobe at some point this season. There are just too many good styles! If you’re looking for a dress that can truly do it all, you need this one. Yeah, it’s a big splurge, but absolutely worth the investment considering how versatile and useful it would be. Wear it to brunch or a shower with cute flats, wear it with tights and boots this winter, and dress it up with sparkly earrings, a cute clutch and heels for a cocktail party! Timeless! Hoping to add animal prints to your office attire? Check out this blazer or this button down. This Ganni dress would look darling paired with an edgy black leather jacket and booties! The Market Tote now comes in a leopard calf-hair style… color me obsessed! I spotted (see what I did there?) these at an event I went to last week, and now I’m convinced I need them in my life. On the hunt for mules? You’re in luck. Check out these, these and these. This neck scarf is pricey, but it would the cherry on top of nearly every neutral outfit you could think of this fall/winter. Here’s a less expensive alternative! These flats are a great price and feature a sleek style that works for both work or the weekend. Add a pop of print to your space at home with these darling chairs. SO chic. I have my eye on that peplum top! So cute! I want EVERYHTING! That leopard print pencil skirt is to die for!